Welcome to MR Resources, the leader and innovator in top quality, low cost solutions for the NMR industry. Now in its fourth decade, our focus remains solely on providing instrumentation, servicing and support to users of NMR spectrometers. Our products and services include a comprehensive range of reconditioned NMR spectrometers, probes, repair services, moving services, and cryogen filling. Additionally, we offer a full line of accessory products including spare parts, consoles, probes, magnets and sample changers for both Agilent/Varian and Bruker NMR systems. Our latest lineup also includes a series of powerful bench-top NMR analyzers. NMR spectroscopists worldwide in the pharmaceutical, chemical, and biotech industries, academic institutions as well as numerous other industries count on MR Resources for all of their NMR needs. At MR Resources we make it possible to outfit your NMR Lab with the best in remanufactured NMR Equipment. We offer full systems, consoles, magnets, probes, parts & accessories, as well as full service for your instument. At MR Resources we have all the parts and accessories to make your NMR like new again. Either you can purchase the products need and install them yourself or you can have one of our service engineers do the work for you. MR Resources offers a variety of service agreements to protect your NMR, related equipment and parts. For the ultimate in protection, consider an annual service agreement. We offer initial system check-out and repair, periodic on-site inspection, cryogen filling and of course guaranteed service when you need it. If the magnet is not filled in the proper manner it will quench causing significant "down time" for your lab, not to mention the exorbitant costs associated with bringing the magnet back up to field. MR Resources is fully equipped, staffed and prepared to deal with any quenched magnet situation. Quenches, although infrequent, create costly down time and pose a serious impediment to your research. When installing a new NMR many factors must be considered. The weight of an instrument is in the order of several tons and requires that it be placed in an area with substantial structural support. If the structural support includes steel beams or steel reinforced concrete, these ferromagnetic materials may have an effect on the magnetic field. The device should not be located near sources of RF such as heavy motors or relays. Personnel must be instructed on the hazards associated with an NMR unit. 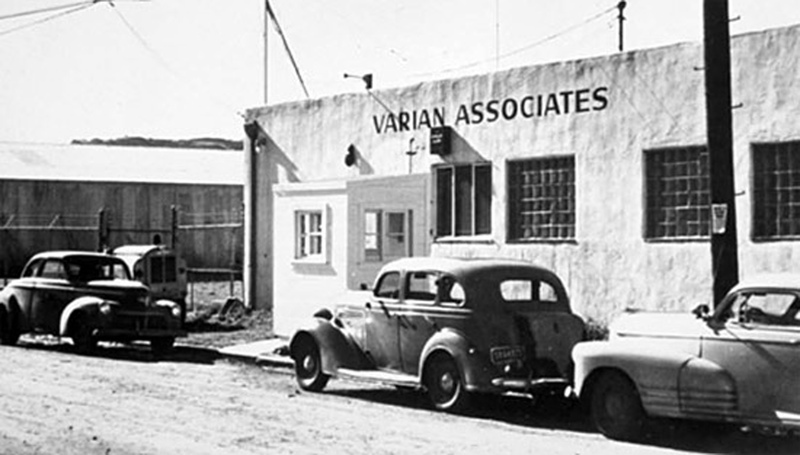 directed toward owners and users of NMR spectrometers from Varian Inc. and Agilent Technologies Inc.
MR Resources has greatly increased its service and support commitment to Varian/Agilent NMR owners and users, welcoming many new customers in the process. MR Resources is fully dedicated to helping support the approximately 5,500 Varian/Agilent NMR spectrometers that are in use worldwide. We hope that MR Resources will be the home for all Varian/Agilent NMR spectrometer owners and users worldwide. If you are an owner of a Varian/Agilent NMR spectrometer or an interested user, you are invited to join the IVAN users group and attend user meetings. Fill out our registration form here. If you are already a member login here to see the latest happenings. MR Resources provides the scientific and analytical chemistry communities with a wide variety of Nuclear Magnetic Resonance (NMR) instrumentation, products and services. NMR is a widely used technique, which employs sophisticated electronic instrumentation and high field magnets, for the determination of molecular structure in chemical compounds. Use of NMR ranges from development of industrial and consumer chemical products to leading edge research in pharmaceuticals and the life sciences. NMR is used by virtually all organizations engaged in chemical analysis, research and development, including Fortune 500 companies, universities, biotech, and government laboratories. MR Resources was founded in 1985 by NMR engineers Jon Webb and Bob Crosby. Jon and Bob saw a need in the NMR community for a total solutions service and analytical equipment provider. MR Resources fills this niche and is established as the world's largest third-party provider of brand name re-manufactured NMR systems, as well as NMR repair services, maintenance agreements, system moves, training, probes, parts, cryogens and upgrades. As the worldwide leader in brand name re-manufactured NMR spectrometers, MR Resource's mission is to continue to provide total support for your NMR needs. Our one-stop support matrix includes MRR Certified NMR systems, comprehensive repair and upgrade services, an extensive line of parts, probes and upgrades, full cryogenic services, and customizable service agreements and training programs. Our product is our service. Our focus is our customers.